Koobr took the time to understand our services, our needs, and the challenges we face as a business. The quality of the work produced has been outstanding and throughout the whole process, Koobr has communicated with us effectively. We look forward to continuing our partnership. 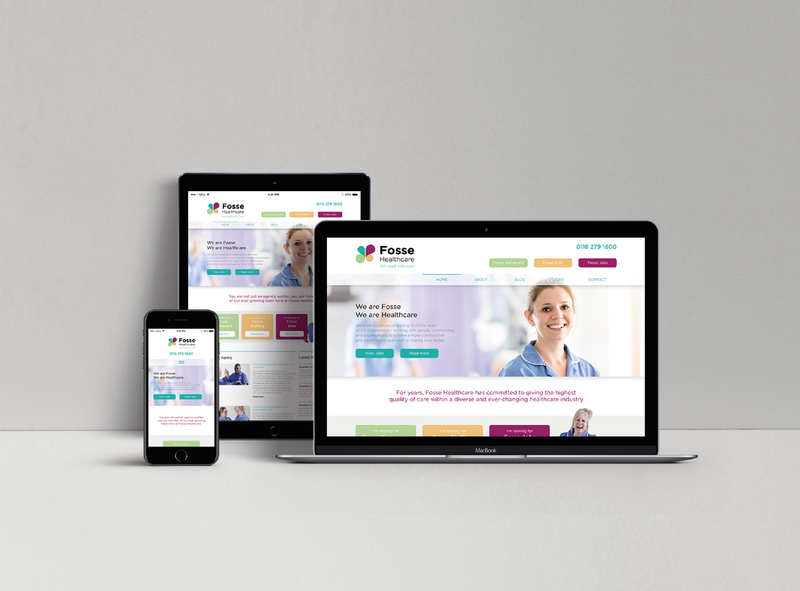 After working with Fosse Healthcare to create a totally new brand identity, we designed and developed a completely new website that would confidently and effectively carry the brand online. Whilst it would have been possible to simply refresh Fosse’s existing website with updated visuals and messaging to align with the new brand, it was agreed that improvements could be made beyond a cosmetic level. After the internal decision to broaden communications — targeting multiple customers, as well as suppliers, partnering organisations, and prospective staff working in various capacities — a radically new site structure was required, one that provided a clear and distinctive user journey relevant to visitor-types. This not only made navigation easier for visitors — who were now able to access relevant information points quicker and far more intuitively — it also enabled Fosse to better communicate highly specific messaging to exactly the right people, whilst at the same time maximising conversion via targeted calls-to-action throughout the site. Fosse’s new website ensures communication is consistent with the new brand, while delivering a better, more seamless experience to users across all target markets. 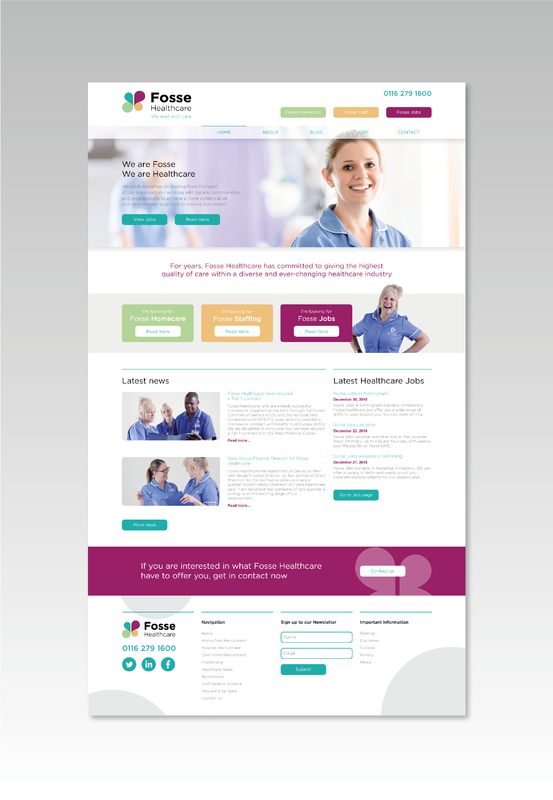 The functionality allowing Fosse Healthcare to update and manage advertised job vacancies in real-time was also implemented; enabling staff to recruit across a broad range of time-critical healthcare and home care positions quickly and effectively. A content management system was also added to give website administrators the ability to update and manage the website news section; ensuring fresh content was being regularly added, whilst delivering relevant and important information across a broad range of topics within the industry. To ensure readability across all devices (desktop, mobile, tablet), and across every browser, the new site was built to be responsive to all user preferences and behaviours.